The Rheumatology/Arthritis Department is a referral center for the diagnosis and treatment of all rheumatic disorders with a special focus on scleroderma, vasculitis, osteoarthritis, and amyloidosis. Providing state-of-the art diagnostic and therapeutic services including musculoskeletal ultrasound, joint aspiration and injection, and diagnostic radiology and full-service physical and occupational therapy when indicated, doctors diagnoses and treats the full range of rheumatological and arthritic diseases and conditions. The expert clinical team excels in research and training, and uses a comprehensive, multidisciplinary approach to meet the needs of every patient. BMC rheumatologists have earned an international reputation for leadership in treatment, research, and education for the broad field of arthritic and rheumatic conditions. Because there are so many types of arthritic conditions, successful treatment depends on the highly accurate diagnostic services available at BMC. Rheumatoid Arthritis (RA) is the most common autoimmune disease to cause chronic inflammatory arthritis. BMC physicians are at the forefront in developing practice guidelines for the management of rheumatoid arthritis and monitoring its therapy. They evaluate patients for appropriate therapies and work with patients to manage their disease. 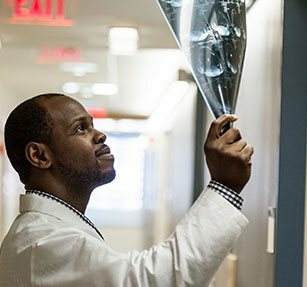 BMC’s clinicians pioneered a unique, highly accurate system for measuring the progress of arthritis patients based on their own assessment of pain and disability. This outcome-oriented approach is now widely used at other arthritis centers. Scleroderma is an autoimmune disease which causes fibrosis of the skin and internal organs. 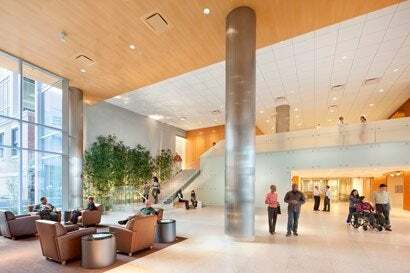 The Scleroderma Center is a collaboration of the Pulmonary and Rheumatology Departments. The Center is recognized internationally as a leader in scleroderma, and provides diagnosis and treatment of patients with Systemic Sclerosis. BMC’s scleroderma program, the largest in New England, offers the latest diagnostic and therapeutic measures available. Physicians take a multidisciplinary approach for comprehensive evaluation and treatment of patients with all forms of scleroderma, with specialists in cardiology, pulmonology, dermatology, radiology, urology, and others as needed. The team also conducts extensive research in this area, including exploration of basic connective tissue biology and evaluation of medications through clinical trials. The program is a member of the Scleroderma Clinical Trials Consortium. Vasculitis is an autoimmune disease causing inflammation of blood vessels with organ and life threatening consequences. BMC physicians pioneered the development of the NIH sponsored Vasculitis Clinical Research Consortium and offer internationally recognized expertise in the evaluation and treatment of all forms of vasculitis. Lupus is a multisystem autoimmune disease causing damage to multiple body organs, including the joints, kidneys, skin, brain, and others. BMC clinicians helped develop the nationally accepted classification of systemic lupus erythematosus, which has made this formerly elusive connective tissue disease easier to diagnose. Physicians at BMC also pioneered various treatments for lupus, particularly at the stage when the disease begins to affect the kidneys. Working together with other specialists at Boston Medical Center to treat all the manifestations of this multi-system disease, care at BMC also includes clinical and epidemiological studies. Boston Medical Center's Amyloidosis Center is an international referral center for the diagnosis and treatment of all forms of amyloidosis, a rare group of diseases caused by the abnormal accumulation of the protein amyloid in various parts of the body. One of only two centers nationwide that treat amyloidosis, and take a multidisciplinary approach to this multi-organ disorder, BMC’s amyloidosis experts coordinate diagnosis and innovative treatments with other specialists at BMC, streamlining care for the patient. Although amyloidosis is not cancer, the Cancer Care Center at BMC pioneered the use of stem cell transplantation to treat the primary form of the disease successfully. Visit the Amyloid Treatment and Research Program website for more information. BMC has some of the nation’s leading researchers in osteoarthritis, also known as degenerative joint disease. Physicians helped define the role of weight loss and exercise in osteoarthritis treatment and have begun to study the effect of diet and nutritional supplements on symptoms. In addition, physicians work closely with orthopedic specialists at the Boston University Arthritis Center to help patients decide if they need surgery. The Department also offers diagnosis and treatment for soft tissue rheumatism including Raynaud’s disease, bursitis and tendonitis, shoulder, neck and knee problems, gout, and other disorders of bones, joints, and muscles, as well as infectious arthritis and Lyme disease. At the bedside, musculoskeletal ultrasound imaging helps obtain faster diagnoses and deliver safer and more effective therapy.